Happy Monday and my first post of 2018 friends! I decided to take a bit of a social media break last week and set some goals, relax a bit and spend some time with my sweet pup before fully jumping into blogging for the new year. I have a bunch of posts lined up that I never got to in December but I still wanted to share with you so bare with me and I promise I'll start talking about my plans for 2018 soon! 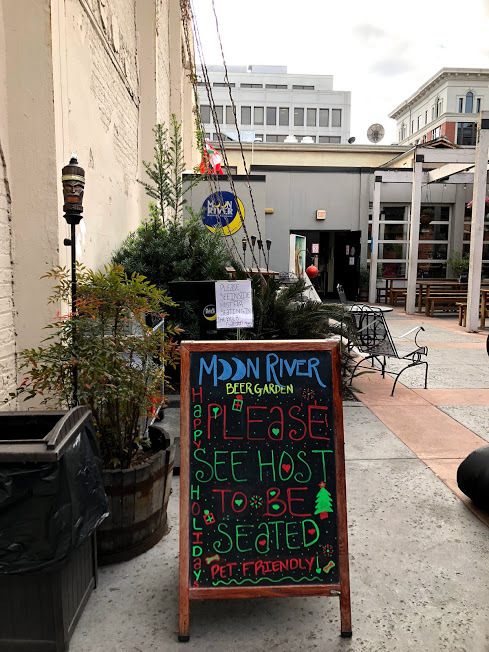 For example, today I really wanted to share with you my favorite brewery from my trip to Savannah last month, Moon River Brewing. You guys all know I love visiting breweries and trying different local beers so when my friend told me about Moon River and that it's supposed to be haunted, I knew it had to be a stop on my quick weekend to Savannah. While Moon River hasn't been open very long, the building they are located in was built in 1821 and was actually the first hotel in Savannah. In 1979 Hurricane David blew the roof off the structure (which was being used as an office supply store at the time) and it remained abandoned until 1995 when it was renovated to a brewpub. In 1999 Moon River Brewing officially opened to the public and they've since earned numerous awards for the beers they've brewed. 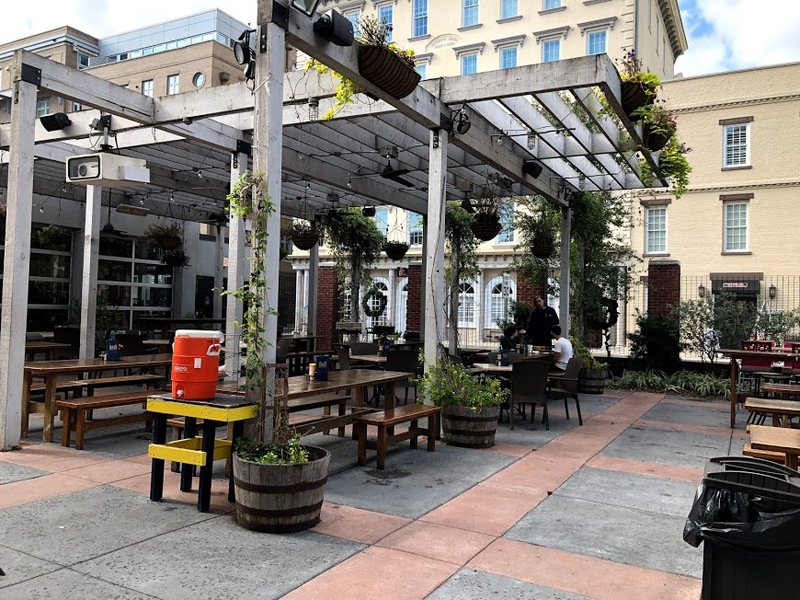 The inside features a full restaurant and bar (for all my non beer drinking friends, Moon River has wine and a full liquor bar) as well as the brewing facility and the outside patio is a beer garden perfect for relaxing under the warm Savannah sun. 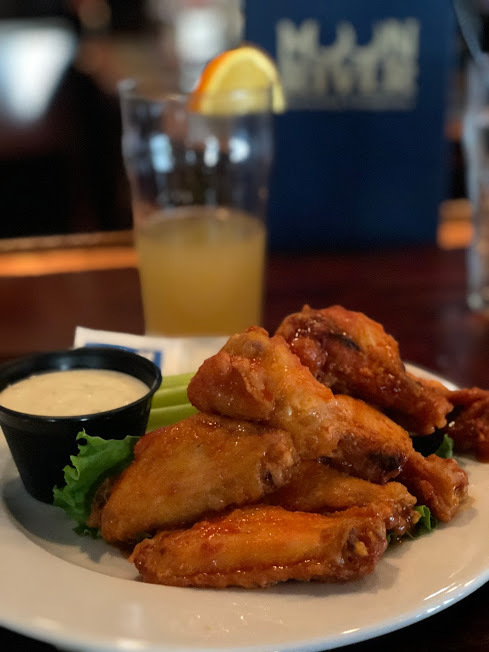 We ended up stopping by to watch the UCF Conference Championship game against Memphis so we sat at the bar and enjoyed a few of their local beers and some wings. Apparently they have amazing fried green tomatoes but since I'm not a tomato fan, I passed on those but if you are a fan, I highly recommend trying them. 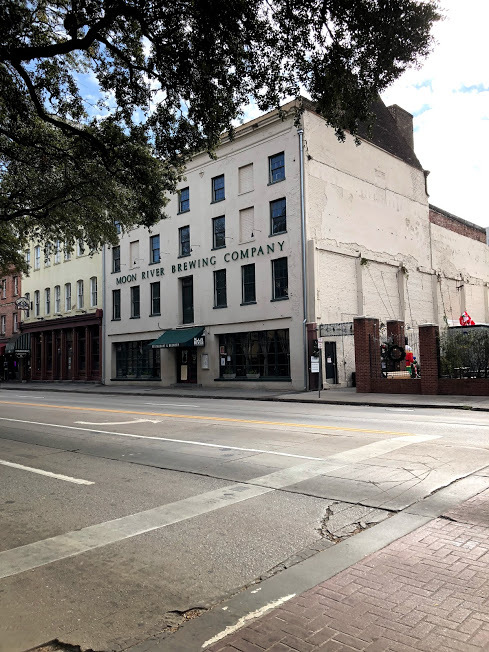 One of the main things Moon River Brewing is known for is it being one of the most haunted locations in Savannah. 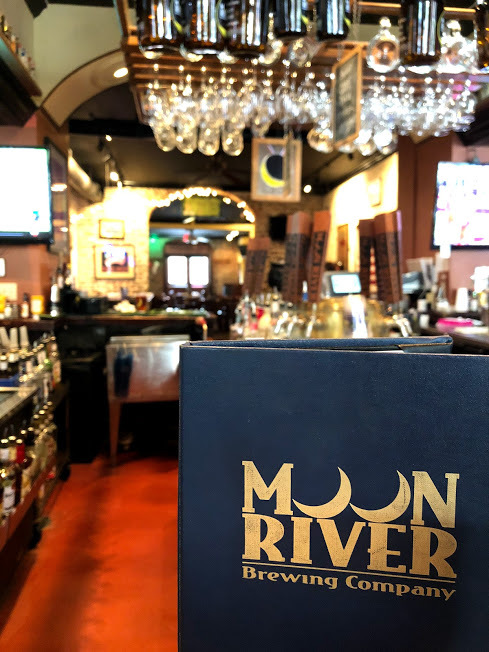 As a regular stop on many of the ghost tours of Savannah, Moon River has been featured on The Travel Channel, Ghost Hunters and many more so if you're looking for a paranormal experience, Moon River should definitely be a stop on your list. I can honestly say, we didn't experience any ghosts while we were there but you can hear plenty of spooky stories from the staff there! Good for you for taking that break! And this brewery sounds great! Also - could just be my computer but I can't see your photos for some reason! Glad you got time to relax and recharge!! I went to Moon River last time I was in Savannah and it was so good! Savannah is on my bucket list!! Happy 2018 lady! Ive heard awesome things about Savannah and want to go someday! I definitely want to go here next time we're in Savannah! I love trying local beers. Haunted, eeeeek! Sounds like fun! Whenever we get to Savannah, this is definitely on our list of places to go! That place looks like so much fun! I love the it has a haunted history to! Have a great week! My husband is all about ghost tours and such, so I'm sure he would love to visit this place. If it's been on TV, he probably knows about it. LOL! We love checking out breweries and will have to stop here next time we're in Savannah! That fried green tomato sounds delicious! What a fun spot! That outdoor area is SO adorable too! Definitely needed a little bit of a blogging break myself too last week. Happy Monday! Oh man I so want to go to Savannah, it looks so fun! Breaks are needed sometimes and definitely understandable given what you've been going through with your pup. Hoping everything settles down soon for you! What a cool spot - I love that terrace! We have yet to visit any Savannah breweries, but it's definitely high on the list for the next trip! I love that the repurposed an old blighted building, looks so cute, double bonus that it is haunted! I want to go to Savannah so bad, I will check this out when i do! What a great outdoor space too! I love haunted things- we have a brewery here in Erie that is haunted too! This totally sounds right up mine and Chris's alley! We love checking out local places, especially places that have a history, and a spooky one at that. I wonder if they do anything special for Halloween! I am not a huge beer fan but those wings look amazing and I love fried green tomatoes! My husband would be all about this brewery. Such a cool history about the structure, too! Hope you had a great holiday! A girl after my own heart... always have to stop by the local breweries when visiting a new town! Moon River is such a cool brewery and is definitely a must do when in Savannah. Glad you went! What a cool place! 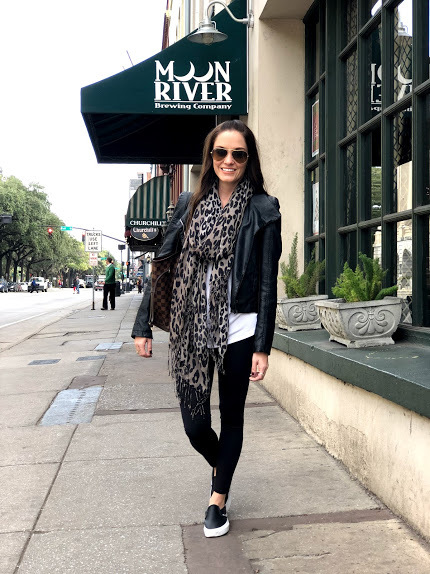 Savannah is on my list of places to visit, when I get there I'll totally stop by moon River! Savannah looks like a fun place. I must plan a trip someday with my boyfriend here. He will love the Moon River Brewery.